Ganon is the recurring main antagonist of the Legend of Zelda series, and can use this very strong Beast Form thanks to the Triforce of Power in LoZ: Twilight Princess. This giant boar has to be fought by Link in his wolf form. 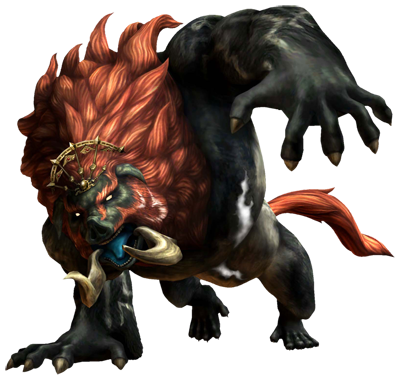 Unlike before, the beast form of Ganon is not the last boss in the game though. 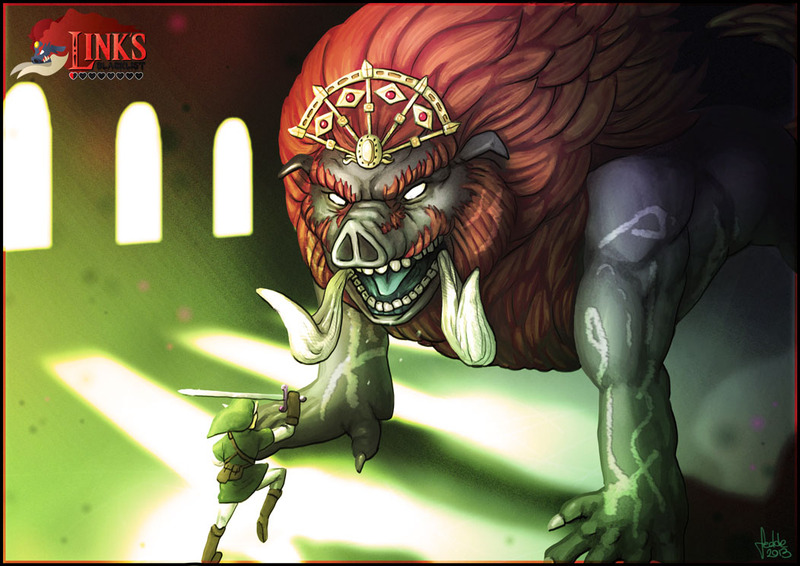 Our first submission was drawn by the Swedish artist Fredik Mattsson and shows the confrontation of Link and Ganon as seen in a cutscene before the battle! 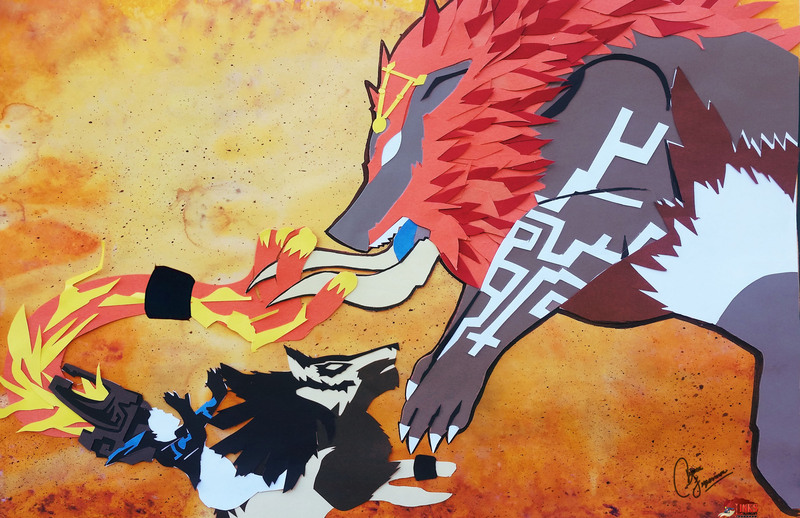 This is our second illustration of Ganon and the Final Battle in the Legend of Zelda: Twilight Princess, but unlike the first one and the majority of the submissions in Link’s Blacklist this was actually made in paper. “The background was made from using bleach, water, ink and acrylic paint. i drew the design on tracing paper, and duplicated it a few times so i could use the papers on different shades of other paper. doing so because i am going to layer the tracing paper over and cut into both of them so i need the design multiple times. Then i cut them out with an execto knife, layered the other shades together and glue them. then after it dried i glued the illustrations on the background piece.